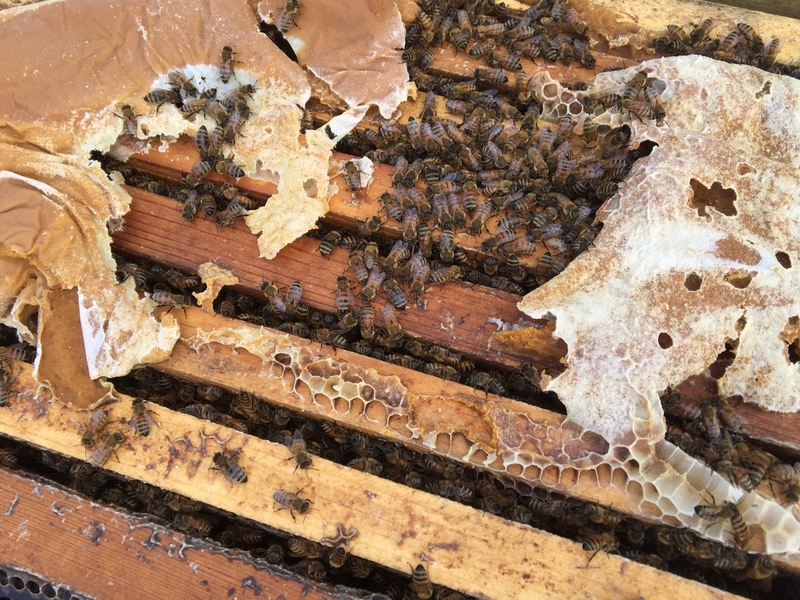 Massive Loss Of Thousands Of Hives Afflicts Orchard Growers And Beekeepers : The Salt Honey bees deal with many stressors: chemicals, climate change and viruses. But this year, a tiny mite has wiped out colonies, causing worry over whether there are enough bees left to do their jobs. 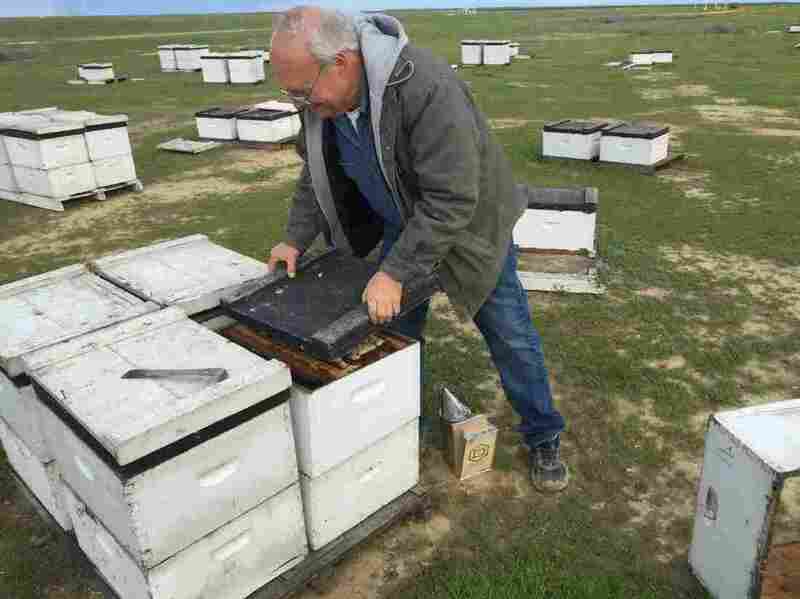 Bret Adee, a third-generation beekeeper who owns one of the largest beekeeping companies in the U.S., lost half of his hives — about 50,000 — over the winter. He pops the lid on one of the hives to show off the colony inside. A healthy hive able to pollinate has at least eight frames mostly covered in bees on both sides. But the fear this year is that there will be many weaker hives put into California almond orchards for pollination because so many hives have died across the country. 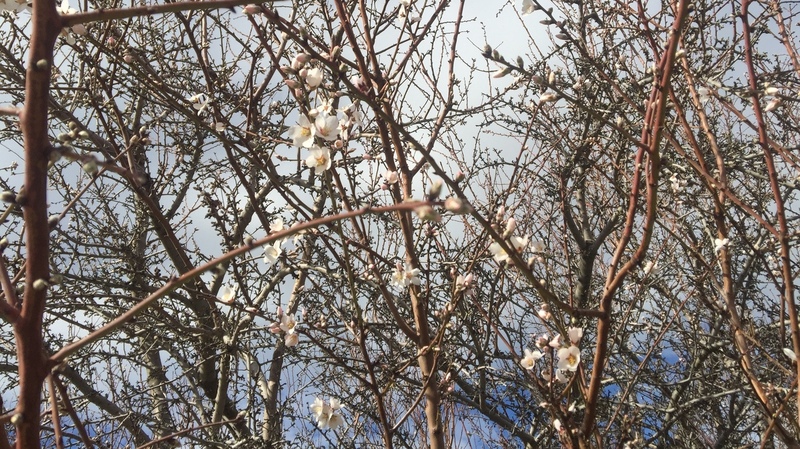 A matrix of almond branches show off delicate early blooms near Lost Hills, Calif. Almonds have grown from 765,000 acres to 1.33 million acres in the last decade. Eric Olson, 75, of Selah, Wash., points out the fruiting wood on his cherry tree. 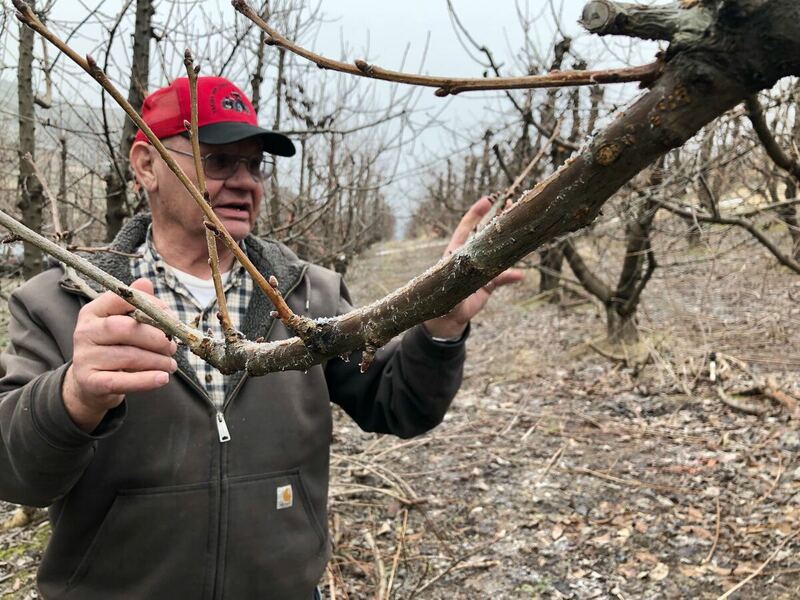 Pruning helps to open the canopy so the fruit can ripen well, and cuts back on fast-growing branches called suckers that can sap the tree's energy away from the valuable fruit.